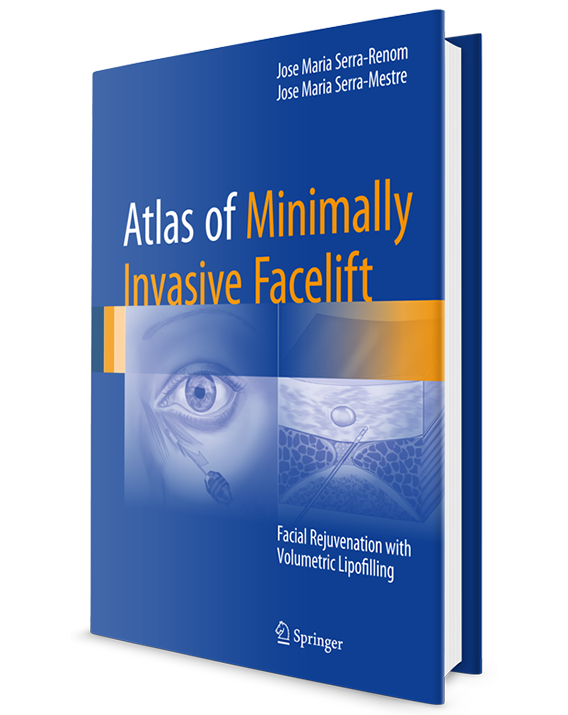 This atlas provides a concise overview of the principle of fat grafting and its clinical applications to treat aging in the central areas of the face in a minimally invasive manner. The authors start with a short description of the anatomical basis of facial aging and by presenting current facial rejuvenation techniques. Here the emphasis is on the process of harvesting and preparing macro-, micro-, intradermal and nano-fat for injection. Thanks to the book’s numerous illustrations and short descriptions, readers will find valuable information on where and how to inject the fat combined with the authors’ individual techniques and refinements. Aging is a major issue in today’s society. Facial rejuvenation procedures seek to enhance the final outcome and durability of surgery and to minimize drawbacks. The current trend is to use less invasive methods requiring fewer incisions, which produce more natural-looking results. This atlas shows the authors’ personal techniques to help achieve that goal. Gabriella Fabbrocini MD, PhD, is Associate Professor of Venereal and Cutaneous Diseases in the Division of Dermatology and Venereology, Department of Clinical Medicine and Surgery, University of Naples Federico II, Italy. After earning degrees in Medicine and Health Statistics, she specialized in Dermatology at University of Naples Federico II. Her field of interest ranges from acne, hidradenitis, dermoscopy, melanoma, photodermatology, and alopecia to the dermocosmetic care of chemotherapy skin reactions. Dr. Fabbrocini is the author of 148 articles in high-impact/indexed national/international journals and an author or co-author of 17 volumes in the dermatological field. She is a member of the Italian Acne Board, the Mediterranean Acne Board (founding member), SIDEMAST, the American Academy of Dermatology, EADV and the Italian Women’s Dermatologic Association (President). Maria Pia De Padova, MD, PhD, is Head of the Dermatology Service at Clinic Villa Nigrisoli, Bologna, Italy. She specializes in videodermoscopy or the study of pigmented skin lesions and skin cancer prevention. Dr. De Padova earned her medical degree with honors and has been researching in the fields of allergology, nails, and hair disorders. She belongs to the steering group of the Italian Society of Aesthetic Medicine and is a member of the organizing committee of the Italian Women’s Dermatologic Association. She is also a member of the Italian Acne Club and of ADNEXA (association of experts in the field of the sebaceous gland diseases). Dr. De Padova is the author of over 60 original articles and co-author of various volumes of dermatological and aesthetic interest. Disorders, the Italian Society of Contact Dermatitis, the European Hair Research Society and the European Women’s Dermatological Society. Professor Tosti is honorary member of the American Dermatological Association, Canadian Dermatological Association, Pacific Dermatologic Association, Colombian Society of Dermatology, and Sociedade Brasileira de Dermatologia. She has published more than 670 articles on dermatology and aesthetic medicine, and authored or edited more than 20 volumes in her fields of interest. She has received the Best Doctors of America Award in 2013 and 2014 and the Maria Duran Medal, awarded by the International Society of Dermatology to women doctors who are leaders in dermatology.